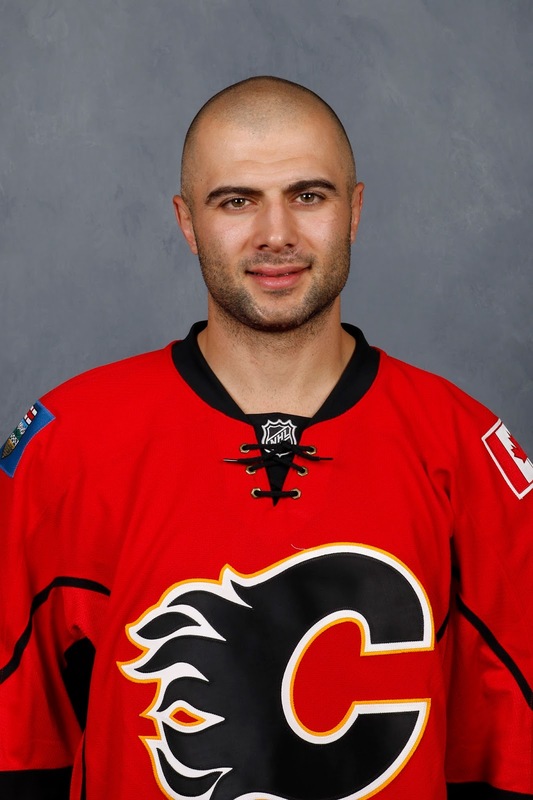 Bright lights of the TV cameras gone, photographers having departed, that initial suffocatingly large throng of media having dispersed to other players, just three of us remained at Mark Giordano's dressing room stall. 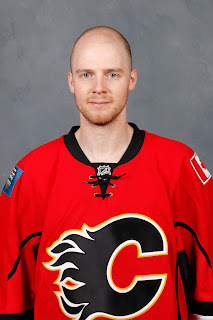 As Wes Gilbertson, Eric Duhatschek and I stood chatting with the Flames captain in this much quieter, less frenzied setting, his sense of relief mixed with satisfaction mixed with excitement was apparent. 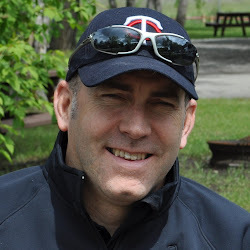 Sporting a wide grin that you would have to chisel off his face, the 33-year-old reflected Friday night on what his hockey team had just accomplished and what as an individual, he was finally going to get the chance to experience once again. Playoff hockey is coming to Calgary. "We’ve had a lot of ups and downs this year but we found a lot of resilience through the latter half of the year," said Giordano. "To be able to battle back and get into a spot and solidify it with four games left," he mused, playfully shooting us a skeptical look. "You guys wouldn't have believed that at the midway point." Nope, we certainly would not have. You feel particularly good for Giordano as his wait has been extra long. Hockey fans in Alberta are very familiar with the consternation felt by certain players three hours to the north. Jordan Eberle, in his seventh NHL season, is at 502 career games as he awaits his first crack at the post-season. For Ryan Nugent-Hopkins, it's been six seasons and 390 regular season games without a sniff of late April hockey. Before he was traded last summer, Taylor Hall had six seasons and 381 regular season contests on his resume, without a taste of the playoffs. Well, that's nothing compared to Giordano, who has played 615 regular season games since he last appeared in a playoff game. That's a lot of helpings of meat and potatoes without getting any dessert. In 10 full seasons in the NHL, a variety of circumstances has limited Giordano to just four playoff outings, all of which came as a rookie. Those four measly games came in 2007 and he was nowhere near the impact player he is today. A 23-year-old rookie at the time, who had spent part of the season in the AHL with the Omaha Ak-Sar-Ben Knights, Giordano was not even a third pairing guy that post-season. Heck, he was the No. 8 guy behind Dion Phaneuf, Robyn Regehr (who ended up injured), Roman Hamrlik, Brad Stuart, Rhett Warrener, Andrei Zyuzin and David Hale. Yep, that was a long time ago, alright. If you don't recall that opening round series with Detroit, allow me to refresh your memory. The Flames fell behind 2-0 after 4-1 and 3-1 losses at the Joe Louis Arena. Returning home, coach Mike Keenan took out a struggling Hale in game 3, inserting Giordano who played 10:53 in his playoff debut. The Flames won 3-2. At 8:18, Giordano saw even less ice time in game 4, but it was another 3-2 win as Calgary evened the series. He played more in games 5 (13:22) and 6 (16:31), but the Red Wings won both games and that was it. April 22, 2007, was the date of his last playoff appearance. "It's going to be a fun experience for myself," Giordano said, finally able to allow himself to look ahead. "The atmosphere at the end of (tonight's) game was great, a lot like playoffs. I'm looking forward to it." As Giordano alluded to, this is a group that struggled in the early going. They were dead last in the league in winning percentage on Nov. 15, having stumbled to a 5-10-1 start. Only the 5-9-0 Arizona Coyotes -- one point back -- had scratched out fewer points, but they also held two games in hand. Sixteen games in, eight days shy of the fabled American Thanksgiving cut line, this club -- the subject of so much optimism over the summer -- was a scorching hot mess. The publicly scorned 45-year-old first-year coach with the slick hair looked in over his head. The 29th ranked power play (9.4 percent) and 29th ranked penalty kill (73.0 percent) both looked abysmal. Having just signed lucrative long-term deals, Sean Monahan was 7th on the team in scoring with a meager six points. Johnny Gaudreau's 10 points also well off his expected pace. The crimson red plus-minus figures for TJ Brodie (-11), Monahan (-10), Gaudreau (-10) and Dougie Hamilton (-9) looked like a crime scene. Then there was Brian Elliott. A disappointing 3-8-0 record, 3.36 goals-against average and putrid .882 save percentage, what a disastrous acquisition he had turned out to be. Then the season took a sudden turn for the better. Not a slow, winding turn either. I'm talking about a 180 degree, hairpin turn, complete with screeching tires and the smell of burnt rubber. If you weren't strapped in by a seatbelt, you would have being thrown from your vehicle. Beginning that evening at the Xcel Energy Center in Saint Paul, Minnesota, a 1-0, 27-save Chad Johnson shutout against the Wild, a night in which ironically they would lose Gaudreau to a broken finger courtesy a slash by Eric Staal, this team finally figured it out. 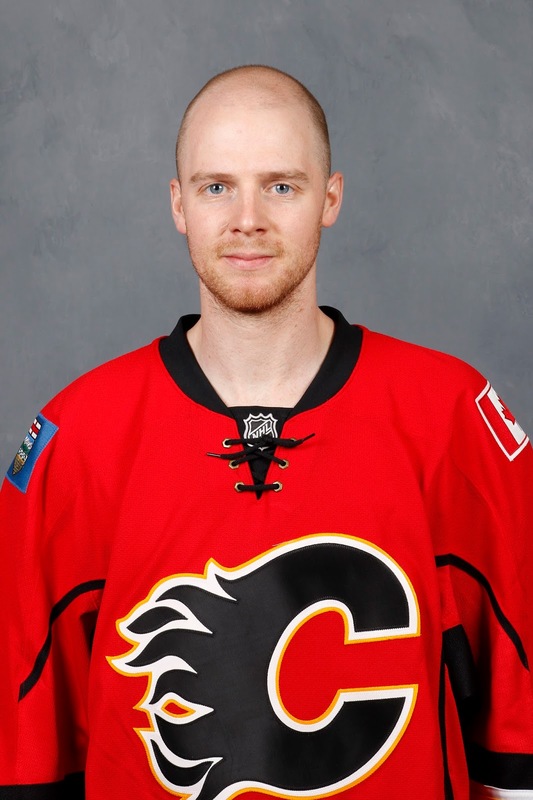 Stunning many, the Flames went 6-3-1 in the absence of their diminutive star. 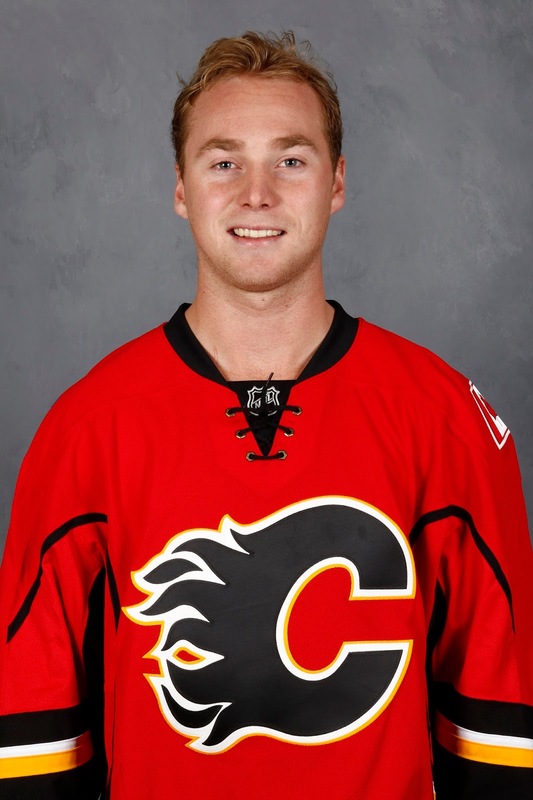 Then in his first game back in the line-up on Dec. 4, Calgary routed the Anaheim Ducks 8-3. While this four-and-a-half month stretch has had its own peaks and valleys, how they've been able to dig themselves out of that early grave is nothing short of a minor miracle. Five of the last eight Stanley Cup champions are on that list. So are three of the last seven Presidents' Trophy winners. Pretty heady company. "Those guys, they pushed themselves there. I've never been more proud of a group," said Gulutzan. "From the adversity that we had early on and just sticking with it. In my 17-18 years coaching, just a fantastic group of guys and very proud of what they've accomplished." The culmination of an electric night at the Saddledome was the final goal. Comfortably ahead 4-2, crowd already in the midst of an appreciative standing ovation, the roar got louder when Sam Bennett jumped out of the penalty box and scored into an empty net to seal it. "When Bennie came out of the box and got the empty netter, I watched all the guys stand up and start hugging each other when it went in," Gulutzan said. "I could tell that they felt, probably a little bit the same as me. Special moment there, the guys were truly excited. It's something I'll remember." The fifth-best power play (23.0 percent) and sixth-best penalty kill (84.2) over that period has those two special teams up to 12th and 11th respectively. Gaudreau's 0.96 points-per-game is 11th best league-wide. Monahan's 52 points (23 goals, 29 assists) in 62 games is tops on the team. For everyone but Brodie, the plus-minus figures for Hamilton (+21), Monahan (+10) and Gaudreau (+7) have been jet black. As for Elliott, he's 3rd in winning percentage (23-7-3), 6th in goals-against average (2.22) and 8th in save percentage (.921) over that stretch, which is the equivalent of over three-quarters of a season. In the clinching game, Elliott was once again the storyline with another superior night. He's won 14 of his last 16 starts. The volume and frequency of the "Moooooooose" cheers coming from the Saddledome pews is really starting to pick-up and fast. "Moose has been great for a few months and that's a big reason for our turnaround, let's be honest," said veteran centre Matt Stajan, who scored the eventual game-winner. "Earlier in the year, Chad gave us a streak that really turned our season around and then Moose turned our season around in February. Without those guys, we're not in this position and we're lucky to have them." Bennett getting the final goal was a fitting conclusion given it was one of his best nights in recent memory. Demoted to the fourth line in recent weeks, he hasn't been playing much and he hadn't been playing well. But man, was he good on this night, reminding everyone that it's way, way too soon to give up on the 20-year-old.. Briefly ending up on the ice with Gaudreau during a partial line change, the two combined for a beautiful goal to give Calgary a 1-0 lead. You saw his speed. He was playing physical. It leaves you wondering if having a big night in the season's most important game might be the thing that kickstarts his season. "I'm loving it right now. I'm having a lot of fun," said Bennett, wearing the police hat as the players choice for player of the game. "This is when it's most fun. That's why you work hard in the summer. It's why you go through everything in training camp, it's for this time of year and ther'es nothing better than Stanley Cup playoffs." 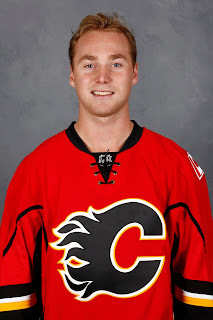 Sam Bennett's been noticeable all night and for good things -- all of them. A real positive sign for the #Flames with the playoffs looming. This is the just the second trip to the post-season in eight years for Calgary. That last one was two years ago when they defied the skeptics by not only qualifying for the playoffs but then beating the Vancouver Canucks and making it to the second round before dispatched by Anaheim. While that team was considered by many to have been lucky, a team record 12 third period comebacks the difference in them squeezing in ahead of Los Angeles in the final week, this edition has gotten there on merit. "With the experience a couple years ago, and some of the guys we've brought in, that's going to help and Gio back there, that's going to help," said Stajan. "We believe in each other. We had that belief a couple years ago but this year we have a lot more depth and we feel like we roll a lot more firepower every single minute of the game." With 12 players in double digits for goals, the spread-out offence could be a big advantage when the dance gets underway on Wednesday, April 12. "We're really deep. We're deeper than a lot of people think," Bennett said. 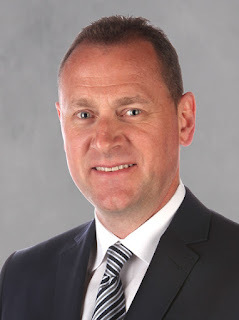 "We have all four lines that can contribute and be effective defensively and offensively. That's one of the things that is going to help us out." Giordano agrees that this team is more dangerous than two years ago. "I think we might have a guy just touching 60 points, who is our leading scorer. It's a total team effort," he said. "You watch other teams that win, it's your third and fourth lines that really contribute and really make the difference." 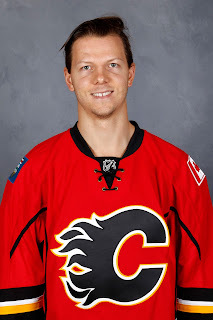 One of those depth players is right-winger Alex Chiasson, who was acquired from Ottawa in the summer in a trade for minor leaguer Patrick Sieloff, who was a prospect long ago but had been passed by multiple players on the team's defence prospect depth chart. Given the minimal acquisition cost and his thrifty $800,000 salary, Chiasson has provided good value for the team. The third of three goals for Calgary in the second period was a dandy backhander by Chiasson, who zipped his 11th goal of the season past Martin Jones. "My second year I made it to the playoffs in Dallas. We only lasted a round. First year in Ottawa we made it to the playoffs against Montreal. Only lasted a round. This doesn’t come around that often," said the 26-year-old. "For me I’ve been fortunate to be in the playoffs, but I think this is a special group here. We’ve got a chance to do something special and the turnaround this year as a team has been fantastic." One guy that brings a wealth of post-season experience is Elliott. With the long-awaited 'x' beside their name in the standings, next up is trying to climb a couple rungs in the standings. The Flames remain fourth in the Pacific Division but after trailing the Sharks by 14 points on Valentine's Day, they're just one point back with one more head-to-head next Saturday in San Jose. Calgary trails Edmonton by three points and the Ducks by four. The Flames have two games remaining with Anaheim in the form of a home-and-home starting Sunday at the Saddledome. "We should be proud of ourselves and now we have four more to keep working on our game and hopefully put ourselves in a good position," said Stajan. "Now we go after what we really want." Stajan says his team can play with anyone and they fear no one. "It's wide open and we're a team that's confident that can play with any team in this league. We'll see who we get. We've just got to worry about the way we play here down the stretch and then everything will sort itself out. Hopefully we'll have an exciting spring." The playoffs begin in 12 days. Let the countdown begin. Heck, maybe we'll even get a Battle of Alberta at some point. Now wouldn't that be something. My goodness. For just the 2nd time in 25 years, #Flames and Oilers BOTH make the playoffs. Raised on 80s Smythe Division hockey, let's make this a habit.